We are getting some great Rainbow Trout from the Willow Beach Hatchery. The hatchery is bringing us over 800 trout at each of the stocking sites. A reminder if you are going to practice catch and release cut or smash the barb so as not to hurt the fish. A injured trout will not survive so be careful or keep the fish for the dinner table these are great for the table and a nice size fish. A huge thanks goes out to the new manager of the willow beach hatchery and the crew that raises these fish for our community. 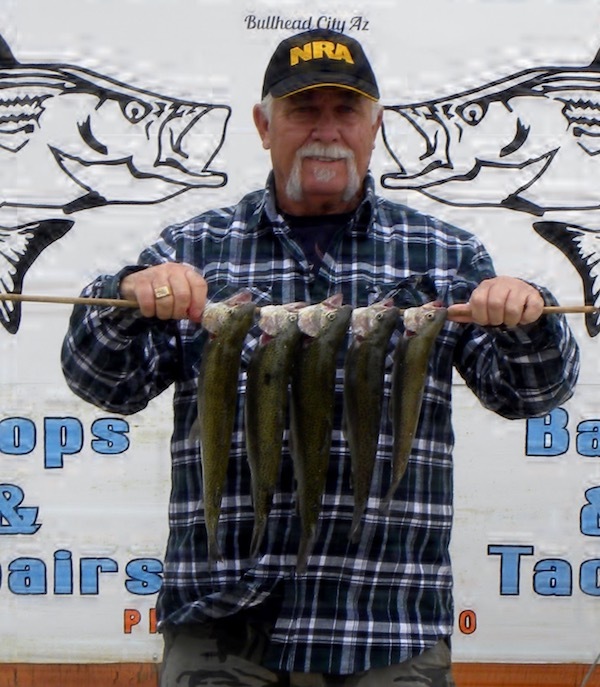 Our local angler Mike Merritt was able to get his limit of 5 Rainbow Trout while fishing from shore in the rotary park area. Davis camp is the other stocking site of the trout plants. These fish are well over the 12 “ size and power bait was working the best. You might try your favorite spinner for some great air action and I heard the mice tails in the bubble gum was working as well. The striper bite is going on near the casino area. 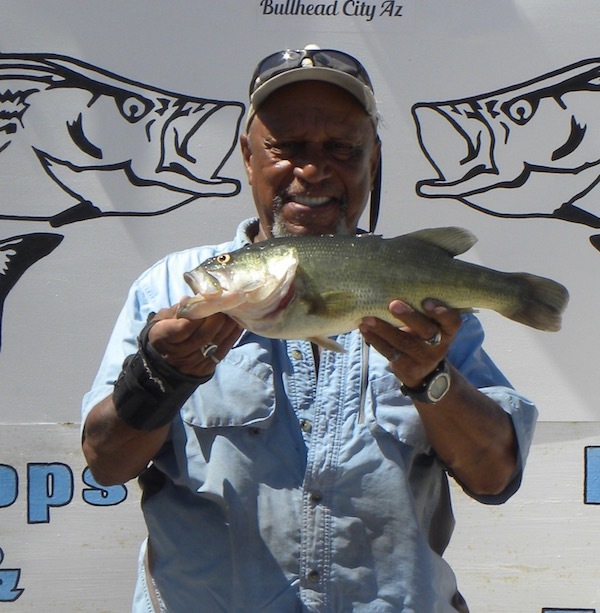 The smaller stripers are getting to your bait first so you lure anglers should see some fish in the 5 to 8 pound range.